When most people think of “pandas,” they think of fluffy black and white bears. But for those of us familiar with PANDAS syndrome, “pandas” conjures up anything but cute and cuddly thoughts. My son developed symptoms of PANDAS following a respiratory illness when he was four. His behavior and demeanor changed, and I had no idea why. That’s where the most intense part of his story begins. PANDAS: pediatric autoimmune neuropsychiatric disorders associated with streptococcal infections. In other words, a strep infection causing neurological symptoms. Kids with PANDAS frequently develop obsessive compulsive disorder, along with a variety of neurological and behavioral disorders. Tics are also a common symptom. In the winter of 2011, our family came down with a respiratory illness that lasted for a long time. I chose to treat the illness at home with herbs. The illness persisted off an on for over a month, with the cough lasting even longer. I determined we had bronchitis, for which the hallmark is a long-lasting cough after the illness has left. I now realize that at some point, we were probably also battling strep bacteria. your body can be fighting a pathogen without showing outward symptoms. This is a sign of immune dysfunction, and, instead of fighting off the pathogen, your body just holds on to it, allowing it to take root and cause sickness further down the road. strep can be a minor part of another overall illness, so the symptoms don’t necessarily reflect strep throat, but strep is part of the equation nonetheless. I’ll never really know if antibiotics at the time would have made any difference, but I was so scared off from using them at that point, that I didn’t want to consider them. I have read plenty of stories about children who received antibiotics for strep and still developed PANDAS. Late winter, we finally began to get over the bronchitis. But something had changed. My oldest son had developed motor tics and extremely defiant behavior. I thought it was stress due to the impending birth of his little brother. Tics, ODD, and SPD, oh my! The birth of our third son came and went and my son’s behavior did not improve. He had become more and more aggressive. One day at the park, when he gave his brother a bloody nose, a friend said “maybe it’s the wheat,” and advised me to try a gluten-free diet for him. I took it a step further and removed, first, all refined sugar, then ALL grains, not just gluten. The calming effects were amazing. I followed the instructions in this post from Heal Thyself for 14 Steps for Healthy Guts and his tics went away. The steps included giving him bone broth, cod liver oil, and fermented foods and drinks every day. Things were better, but I still had no idea that he was infected with strep bacteria, or how cantankerous it could be. We kept it at bay by being perfect with diet, but if we slipped up, he would have a major behavioral flare… and we’d all be miserable as we rode it out with him. We were still trying to get a handle on his behavior when my husband got transferred with his job to a town about an hour away. The move took its toll and we ate some convenience foods during the adjustment. My son was six by this point and his emotions and behavior ruled our home. After much research, I finally put the pieces together that he had Oppositional Defiant Disorder, a disorder which causes sufferers to rebel against all perceived authority and exhibit defiance and extreme rigidity. If something wasn’t going his way, such as my making him get his schoolwork done, he would become angry and just refuse to do what he was told. I felt powerless to parent my child. Also around this time, the tics were flared up badly, and he would often make weird heavy breathing sounds or blink excessively. That was one of the scariest things to me, knowing he could not control functions of his body. I eventually figured out that corn caused horribly aggressive behavior. He also chewed on rubbery and plastic toys or even his own hands, in an effort to sooth his stimulatory needs. I later figured out he was also struggling with sensory processing disorder, and was mostly sensory seeking, which explained his constant need for physical touch and rough housing, which was not always welcomed by his brothers. Equally disturbing, he had developed symptoms of dyslexia, and would sometimes write his numbers backwards, despite knowing how to write them correctly. Aside from the aggression and defiance, there are physical things that would happen during one of my son’s behavioral flares. His eyes would become very swollen and red, and dark purple circles would form underneath. He would become angry about something, begin rubbing his eyes, and become visibly frustrated. He would tell me “I’m not going to do that.” Or he would become angry and hit one of his brothers. And his eyes would be purple and puffy and I would know he had eaten something he wasn’t supposed to. Almost always, he would later admit to sneaking a food he wasn’t allowed to have. I learned to ride out these episodes, because attempts at discipline were futile. There was a period when I thought if I spanked him, he would snap out of it. Sometimes he retaliated, and I learned that physical discipline did not work for him. Eventually, it would pass, but only until the next episode came along, at which point, we just had to hold our breath and wait for it to pass again. It was not a fun way to live. Some time after I began putting all the pieces together, we moved back to our previous town and, again, slacked on our diet a bit. In the spring of 2015, we finally paid for a visit with a holistic practitioner. The practitioner confirmed the behavioral disorders I suspected, but gave us hope that we could heal them. He sent us home with orders for testing, and about six weeks later, we returned to get the results. Strep bacteria: our son had strep bacteria overgrowth in his gut. On our way home from that visit, I researched all I could about PANDAS and strep bacteria, and it all finally made sense. I knew that the behavioral changes following an illness was no coincidence. We started an herbal treatment and things got better for about a month before the results started to wane. This past fall, we did the GAPS intro diet. After months of various herbal treatments, my son was better, but I knew more gut healing was in order, and that the GAPS diet fit the bill. It went wonderfully. It felt good to eat nourishing foods and we all began to feel good and healthy. He was doing better than ever, but we were still bound to a strict diet. I wanted to try something new, so on a whim, I created a new protocol for him. In the midst of all of our health battles, and all the research I’ve done, I’ve read a lot about how parasites are actively involved in disease. Another mom in a Facebook group mentioned the calming effects diatomaceous earth (DE) was having on her son. DE is a natural silica-based product which kills parasites. I started giving my son a tablespoon everyday. Like the other mom I’d spoken with, I was astounded at the calming effects it seemed to have. After about a week of DE, I began giving him what I now look back on as a “game changer.” I gave him oregano leaf tincture twice a day. A full dose is 30-40 drops, but I typically start with only a few drops and work up to 20-30 drops for a child, depending on weight. For my younger children, I may never go past 5-10 drops, but for my child who is almost 11, I’ve given a full dropper (30-40 drops). The first week on oregano, he was tired and a little sick. The second week, he was a new kid. He began offering to help out around the house. His food allergies seemed gone. The tics were gone, and he was calm and kind. For good measure, about 10 days after starting the oregano, I put him on an intestinal tract defense tincture, which was, essentially, for killing parasites. I continued all three treatments together for another week. I get more emails and comments asking about dosages than just about anything else. Here is the truth about dosages: I can’t possibly tell you how much of any one supplement to give your child. Every child is different. Their underlying triggers are different. Some kids battle strep; some kids battle mold; for some it’s epstein barr virus; some have boatloads of parasites or yeast. 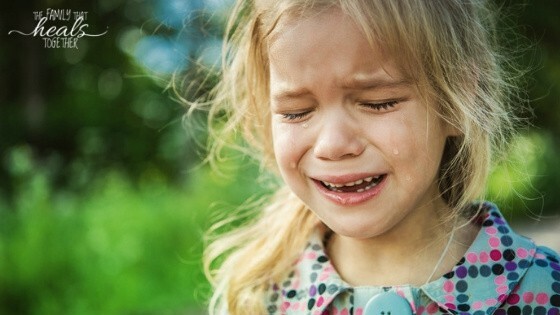 Additionally, some children are terribly sensitive and will only tolerate a drop or two of a tincture, while others can tolerate a whole or half dropper. It’s very important to start very slowly to see how your child tolerates any supplement before upping the dosage, and never start a bunch of supplements all at once because if there’s an adverse reaction, you won’t know which caused it. Since the miraculous transformation, he’s been able to eat foods he hasn’t had in a long time. He has started creating and maintaining friendships like he’s never been able to before. He’s happy and kind and, at 8, so helpful around the house and with his little brother. He snuck some soda a few weeks ago, which did set him back, and after enjoying lots of “new” foods, we’ve cleaned up our act a bit, in an effort to give him the best chance at keeping the strep under control. Recently, our family was hit with a respiratory illness that I suspect strep was involved with, and his tics came back, though the ODD stayed away, hallelujah! I plan to start the three part treatment again this week. A lot of kids who develop PANDAS get really severe OCD and even hallucinate. I think the reason our case was fairly mild is because when my son was infected, we were already eating an organic, clean diet, free of food dyes and other harmful ingredients that can exacerbate the symptoms. We had also ceased vaccinating by that time, which I know helped. I think the reason the three part cure actually worked for us, is because we had done SO much work prior, mostly through diet, and through the herbal treatments we had done. I believe every little thing we did got us that much closer to healing. First and foremost, diet is most important. Once diet is under control and gut inflammation has eased, other treatments have a better chance of working well. 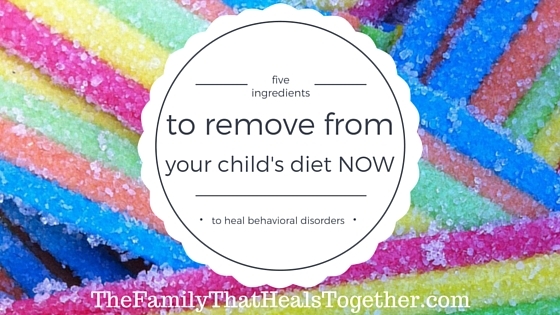 If you’re looking to get started with healthier eating, read Heal Behavioral Disorders: remove these ingredients from your child’s diet NOW. 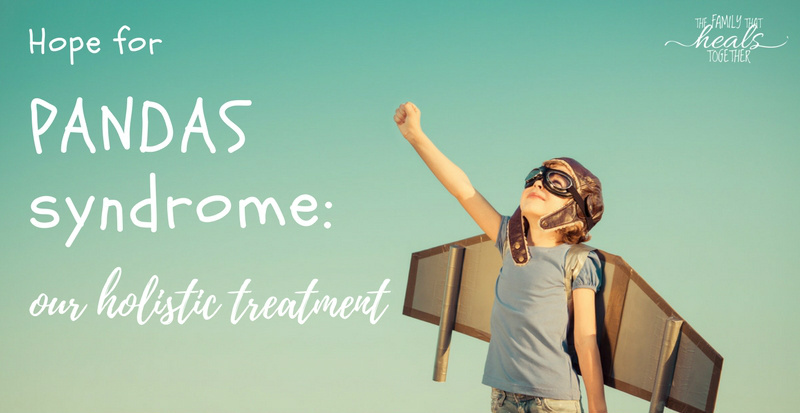 Some parents, if they can even get a doctor who will diagnose PANDAS (it’s not exactly main-stream just yet), choose to use long-term antibiotics and other pharmaceuticals to cure the syndrome. Such was the case with Beth Alison Maloney, the author of Saving Sammy, a book about her son’s battle with, and subsequent curing of PANDAS. It worked for Sammy, and he was cured of PANDAS, without any diet changes even, but I do wonder about the long-term health effects of long-term antibiotic use. I don’t know what the future holds, but just knowing what it was we were dealing with gives me the knowledge I need to treat it should the need rise again. The most important thing to know is that curing neurological disorders does not begin with a psychiatric medication, but with healing the gut. You know what they say: the gut is the second brain! Following the success with these supplements, we added in another supplement to continue keeping symptoms at bay. 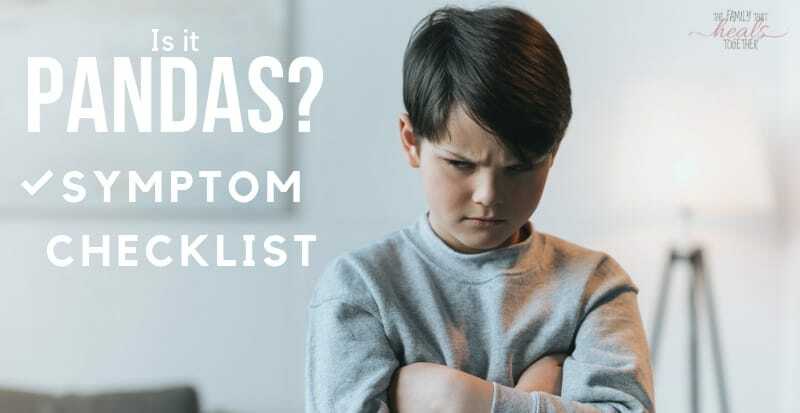 Read about our holistic approach to oppositional defiant disorder treatment for all the details! We have also learned that strep is a persistent and cantankerous infection, and we continue to support gut health through a good diet, and use appropriate supplementation as symptoms crop up. 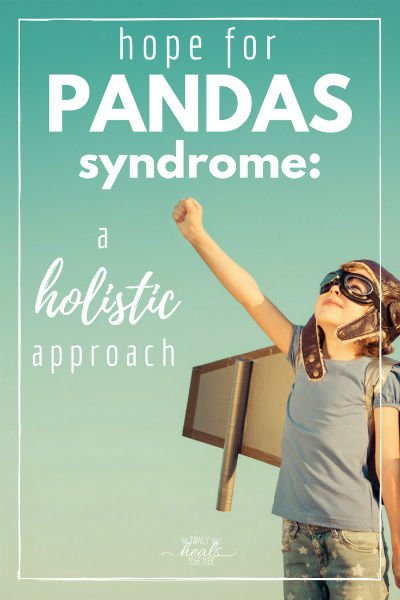 Does your child have PANDAS syndrome? What have you found has helped with symptoms? While we may hear often that children’s behavioral problems are caused by genetic factors, that is far from the whole story. In the process of parenting and healing my child with multiple behavioral disorders, I have learned and can definitively say that there are further causes behind these disorders, which means they can be healed. That’s right: autism can be healed, and so can ADD/ADHD, ODD, OCD, dyslexia, and a number of other childhood behavioral and developmental disorders. If you have decided to seek out natural alternatives to medication for your child, you will find many, many suggestions, but before you can begin “treating” your child, you have to accomplish a few things: reduce inflammation, eliminate toxins, and strengthen the immune system. 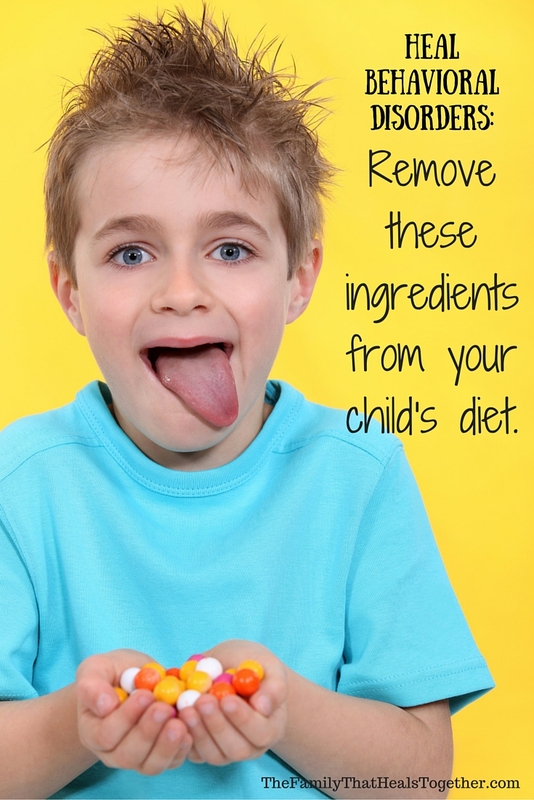 The good news is these can all begin with some simple changes you can make in your child’s diet. Below, I’ll give you five ingredients to cut out of your child’s diet NOW, which will not only begin the path to healing, but will likely result in improved behavior almost immediately. Artificial food coloring is responsible for a host of behavioral and learning problems in children, including symptoms of Attention Deficit Disorder, hyperactivity, autism, aggression, and much more. Because they are a neurotoxin, food dyes can cause headaches and migraines, as well as mood imbalances. Removing food coloring is one of the main components of the Feingold diet, a popular diet used to treat behavioral disorders and learning problems. It’s what makes Chinese takeout so tasty, bland foods not taste like cardboard, and is the reason you can’t stop at just one chip or cracker. Monosodium glutamate is a common flavoring additive in many packaged foods, especially soups and flavor packets, and can be linked to a number of health problems, including migraines, as well as behavioral problems in children, because, like food dyes, it is a neurotoxin. MSG is responsible for making you crave junk food. It is formulated to make foods taste irresistible, causing you to eat more and more and still remain unsatisfied. As you crave these fake, artificially-flavored foods, real, whole foods are less appealing. MSG can totally change the way you eat and what your body yearns for. Tip: make your own homemade taco seasoning to avoid MSG! Like artificial colors, artificial sweeteners affect brain health, and can contribute to behavioral problems in children. Additionally, they can retrain our taste buds to prefer the intensely-sweet flavor of fake foods over the natural sweetness of healthy, whole foods like fruit. And like MSG, they cause us to crave more sweetness than we were ever supposed to, because the unnatural sweetness is like nothing found in nature. There are many artificial sweeteners, under a number of brand names. Artificial sweeteners are most commonly found in “diet” or “sugar-free” foods. This unfortunate half-truth has perpetuated the idea that HFCS, also known as isolated fructose, high fructose syrup and corn sugar, is somehow part of a healthy, balanced diet. This simply isn’t true. High fructose corn syrup contributes to hyperactivity in children and other behavioral problems. Because it is chemically-derived from corn starch, it has a much higher sugar content than sugar itself. The high-fructose makeup of this syrup means that instead of our bodies processing it slowly, as with regular table sugar, it goes straight to the blood stream. After eliminating the above ingredients from our diet, the next thing we did was to remove refined, white flour. This was a bit of an adjustment, and at first, it just meant that we didn’t eat bread at restaurants. From there, I started using whole grain flours in my home baking. I will always remember early in our real-food journey, we were eating at a restaurant with family and my dad offered a roll to our son. I said no, but he blew me off and went ahead and gave it to him. Within minutes of finishing the roll, our son had gone from being fairly calm to running around and under the table, shouting, and being overall crazy! My dad believed me then and has never offered our son bread again! While this may seem like a tough step, it was necessary for us to take on our way to better eating and better health. If you are eating white bread right now, switch to a whole grain or gluten-free version as a baby step to eating better. It might seem like making these changes aren’t worth it, and you might want to quit before you even try. Don’t. Once you remove these ingredients, one by one, you will start seeing changes in your child and you will be motivated to learn more and do more- I promise! When I interviewed Gordon’s mom, Tracee, she told me that eliminating red dye for her autistic son’s diet completely eliminated his tantrums, practically overnight. She went on to completely heal him from autism. 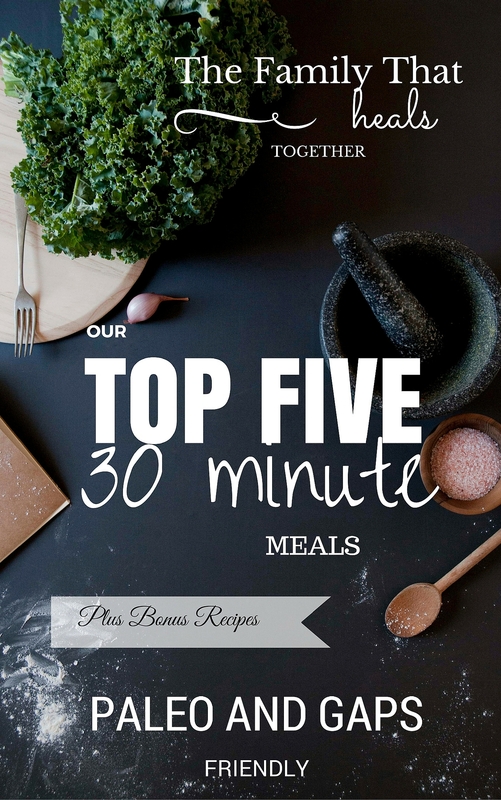 You have to start somewhere, so choose an ingredient and get it out! Read Gordon’s amazing story of healing here, then go over and read Brendan’s story of being healed from autism here. It’s up to you to learn all you can about these ingredients and make healthy choices for your family. Food manufacturers will do everything they can to convince you that eating these things is fine “in moderation.” If they can confuse you, they win; if you feel overwhelmed by sorting through information and are uninformed, you will have little will to make changes. 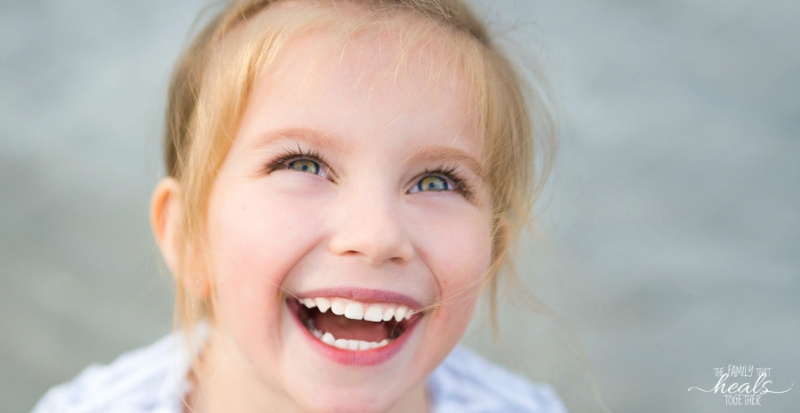 Make the changes your child needs and experience health and freedom for your entire family! 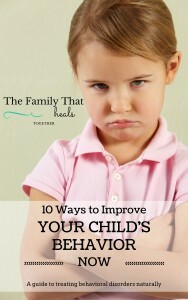 For more tips on healing behavioral disorders naturally, sign up for our newsletter to receive our FREE e-book: 10 Ways to Improve Your Child’s Behavior NOW! Be sure to share this post for friends who may be struggling with a child who has behavioral disorders.